The NTT Faculty Caucus is an informal group of dedicated NTT faculty which meets on a monthly basis during the semester. 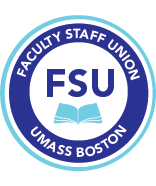 Since its formation, the caucus has been a powerful force in improving the employment and working conditions of NTT faculty at UMass Boston. The caucus has been instrumental in securing union status and related benefits for NTT faculty, educating faculty on their employment rights and responsibilities and showcasing NTT faculty scholarly and artistic achievements. The caucus has also fought for and achieved viable retirement options for NTT faculty and navigated them through the complex maze of ORP to SERS transfer. Among the regular participants in the caucus are executive committee members, grievance officers, bargaining team members, representative from the CLA Senate and the Master Plan Committee as well as rank-and-file activist members. Caucus members often act as ad hoc liaisons for their respective departments and programs. In the fall of 2014, the caucus established working groups on class size and Senior Lecturer promotion. The caucus also served as a forum to update members on the status of contract negotiations and the vote on the Collective Bargaining Agreement by the full FSU membership. This spring, the caucus has turned its attention to organizing for the fair implementation of the new contract. At our February meeting, 22 members of the caucus volunteered to help in the on-going all-union organizing campaign to pressure the administration to fund and implement the contract and to settle a fair contract with the PSU. Caucus members also had a spirited discussion about the administration’s failure to promote NTT during the current period of “contractual limbo.” Our next two meetings will turn to strategies for ensuring that NTT promotions not be held in abeyance pending implementation of the new contract. Especially at this crucial time, NTT faculty, regardless of rank, discipline or union experience, are encouraged to attend caucus meetings and contribute to agendas and organizing efforts. To accommodate our Tuesday/Thursday faculty, the next meeting of the NTT caucus will be held on Thursday, March, March 26th at 3:30 to 5:00 pm in M – 2- 207. The next meeting is tentatively scheduled for Friday April 24th 4:15-5:30 pm. Please check your email for the exact time and location and draft agenda.